In 1956, new Princess of Monaco Grace Kelly stepped out in public with a scarf as a sling for her broken arm — putting a chic spin on an otherwise unfortunate situation. Her resourcefulness also highlighted the various ways in which a scarf can come in handy. This was again demonstrated in 1963, when Jackie O, after her husband’s assassination, developed a new period of fashion with scarves wrapped around her head — an effortless, casual definition of glamour. Then in 1992, Madonna flagged the nineties trend by wearing one as a halter top, and Sharon Stone utilised hers to tie up Michael Douglas in Basic Instinct. Evidently, there are more ways than one that you can wear or utilise a scarf. A quick sweep through history and Google (there’s even a how-to guide on tying it the Kate Moss way, FYI), easily proves this. While scarves may no longer be the biggest trend on the runway, their staying power throughout the decades can tell you that they’re the fool-proof classics you can always rely on for extra pizzazz. Loro Piana’s Irede cashmere stole. This is where Loro Piana’s exquisitely threaded scarves come in. 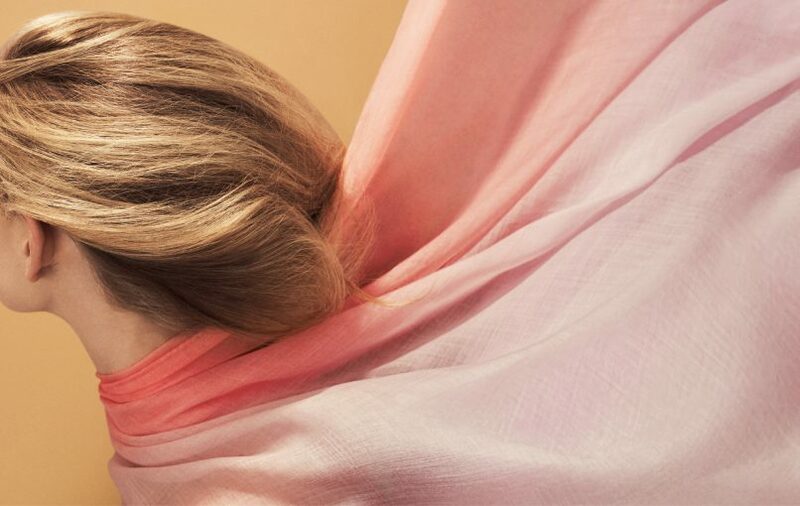 Its diaphanous Iride cashmere stole seamlessly blends different shades of pink for that ombre oomph, and is the most opulent accessory you’ll ever wear. Gracefully wrapped around the neck or worn as a makeshift Madonna top, it’s well-suited for dinner dates, flights, and yacht escapades. Then there’s the Circles Into Circles graphic piece. 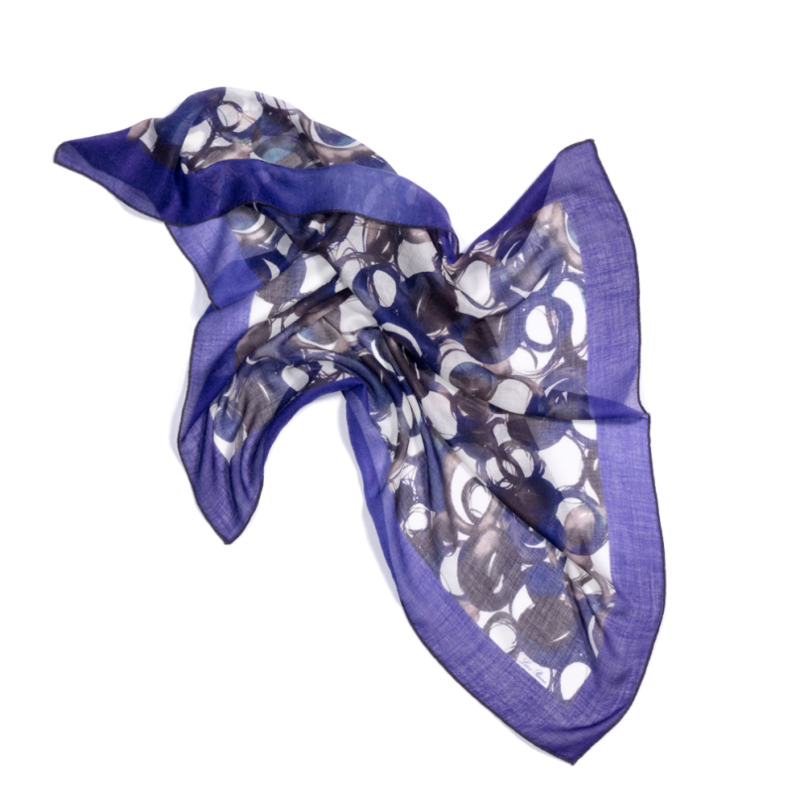 Crafted from the merging of Soffio cashmere and silk, the geometric prints of interlinking circles recall Futurist artists’ brushstrokes — proffering alternatives of a striking headwrap à la Jackie O, or an added razzmatazz on bag handles. The Circles Into Circles scarf. 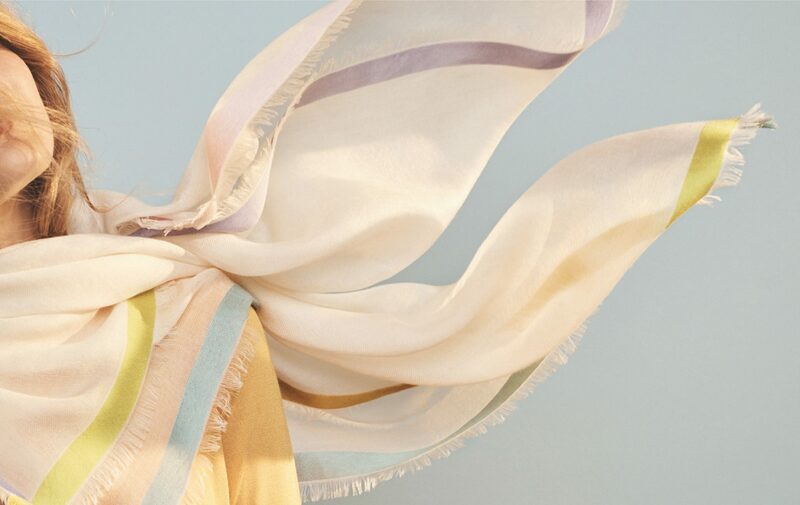 Loro Piana’s Rainbow scarf, too, is a lavish visual and tactile indulgence with its light hues spun in cashmere and silk yarns. It comes in a square shape, which makes styling possibilities endless. If there’s anything we’ve learned from storied fashion icons and their defining scarf moments, it is that scarves aren’t just made for the neck. Loro Piana Fall/Winter 2017 scarves are now in boutiques.